New Wave Domesticity: I have not left you!! I have not left you!! 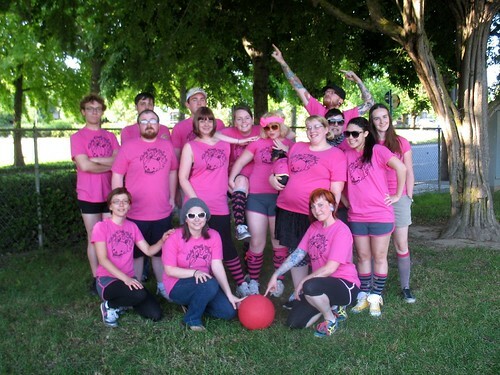 I did not forget about this blog, I promise. I've been thinking about it. It's just been such an overwhelming summer. Good overwhelming, but overwhelming nonetheless. I spent a lot of time making a new zine! 2 actually. The zine is a lot like this blog, so I maybe that is why I have not had the energy to update this blog AND write a zine. 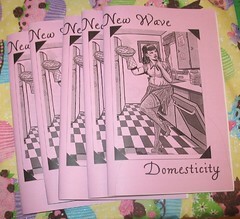 The first zine is called "New Wave Domesticity" and it is full of of recipes, tips on pie making, craft projects, how to can, how to remove stains, and lots of other nerdy domestic-ness. 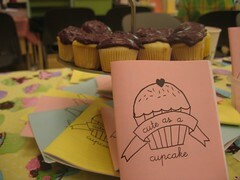 The other zine was a collection of cupcake recipes and it is called "Cute as a Cupcake". The zines debuted at the Portland Zine Symposium which was lovely. I will have both of these up for sale online in the next few weeks, I just have a busy summer in store! +Portland is amazing in summer. It's full of so many events and sunny day plans. I have a lot of photos and things I will slowly be uploading. Lots of wonderful food and crafts that I will be updating and sharing with you soon! +I got a promotion! Starting in Septemeber, I will be the "Cultural Director" at my work. This basically means planning events for my lovely coworkers, maintaining the office, working on in office and customer facing campaigns, and lots of other things. It's kind of a dream job and I am so excited to start! +I bought my tickets to Philadelphia for next month! I will be taking my best friend, Katy, home with me to visit my family and eat a ton of east coast foods that I have been missing like crazy! A much needed vacation in on the horizon. Ooo new zines! Would you be willing to trade something handmade book-ish (since I have the journal making bug, big time) for one or both?